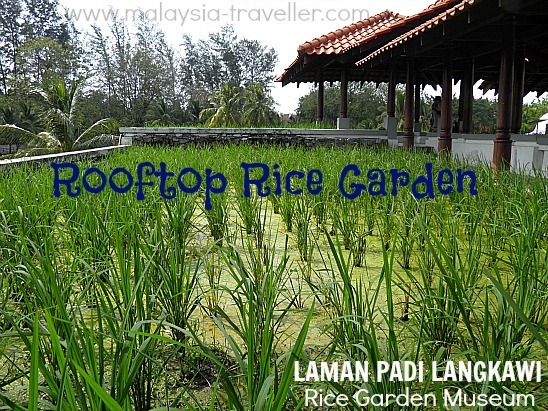 Laman Padi Langkawi, or Rice Garden Museum, is a popular eco-tourism attraction at Cenang Beach where visitors can learn about rice cultivation in a rustic, natural setting. 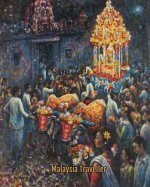 This open-air museum is conveniently located and occupies a 14 acre site at the northern end of Cenang Beach just across the street from the Meritus Pelangi Beach Resort and the Casa Del Mar hotel. Chief among the exhibits is an 8 acre working rice farm where visitors can wander among the paddy fields and scarecrows along grassy banks and watch rice farmers go about their work. I was expecting to see water buffaloes tilling the fields but they were using a machine instead. 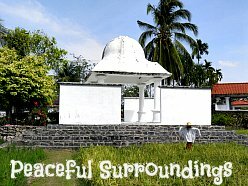 The combination of the bright green paddy fields ripening in the sun together with the Balinese/Malay architecture of the museum buildings provides a pleasant relaxing atmosphere. One of the main buildings contains the Heritage Gallery where the process of paddy cultivation is explained from seed selection to planting seedlings and from the transplanting process to harvesting. Since I have already visited the much larger Kedah Paddy Museum near Alor Setah I did not need to spend too much time in the Gallery. 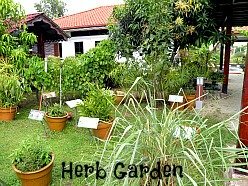 Other attractions here include the rooftop rice garden and a herb garden where the health benefits of various herbs are explained. There is also a restaurant with a nice-looking menu including a number of Japanese dishes. There is even a spa here. Perhaps you can have your skin exfoliated here with burnt rice husks - I don't know as I did not try it. 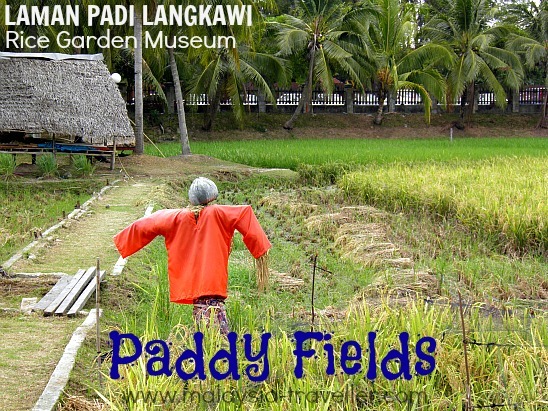 Overall I thought Laman Padi is well designed and a worthwhile attraction especially for foreign visitors who have never seen paddy fields before. Langkawi is still an important rice growing area and in the interior of the island I noted many rice fields although they were all full of dry paddy stubble (perhaps due to the time of year). 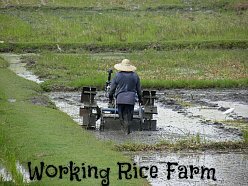 I imagine it is difficult these days for rice farmers to encourage their sons to continue farming. Why would the new generation spend their days wading through muddy paddy fields when they can earn more money and have more fun renting jet skis, growing dreadlocks and chatting up foreign tourists on the beach! 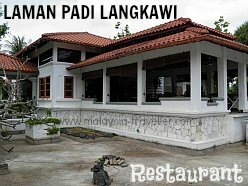 As mentioned, Laman Padi is just across the street from the Meritus Pelangi Beach Resort and the Casa Del Mar hotel. 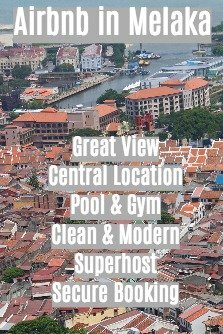 The exact location is marked on my Top Langkawi Attractions map.